This gorgeous boy is approx 6 or 7 months old. 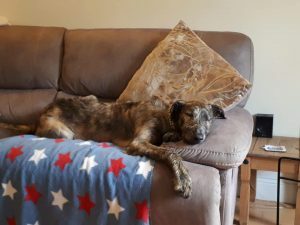 He has a beautiful nature, typical of the deerhound, loves his exercise and loves his snoozes. 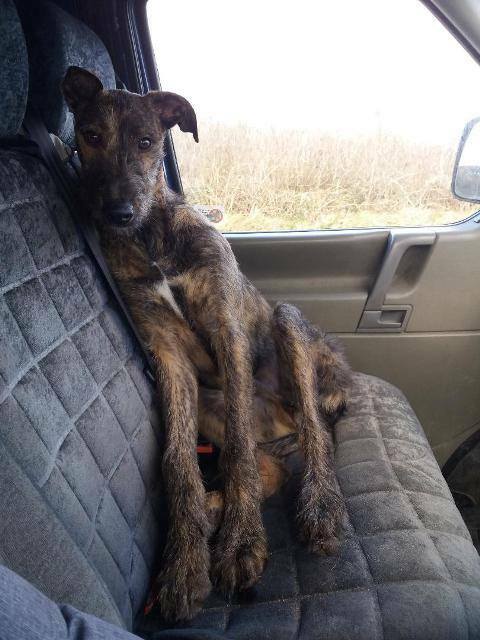 He is an active boy who is good with other dogs. Yodo is more or less housetrained. 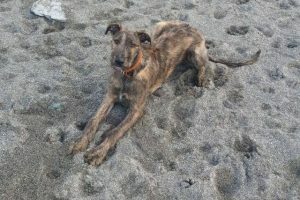 Yodo would love a home with another dog to play with and a home where he wont spend long hours alone. He is still growing and we imagine he will be a big boy. Whoever adopts this boy will never regret it. Children over 8 for Yodo. Yodo has gone to his forever home!